Mark was very patient and committed during my lessons and really helped me get confident before my test. His way of teaching is really easy to understand and I would highly recommend him. Thanks for everything Mark!! I had to take my test for an automatic car after I became disabled. My lessons were taken with Mark at SLK and he was absolutely great! Mark is easy going and relaxed but also consise and his teaching methods are fantastic. I passed my test this morning, first attempt. Now its my wifes turn!! 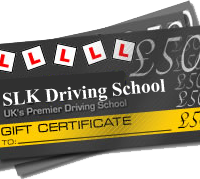 I wouldnt hesitate to recommend SLK Driving School to anyone who is thinking of using them! Cheers Mark!! 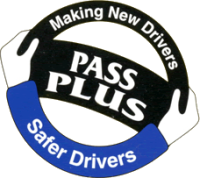 Mark is a brilliant instructor; friendly, a laugh, and has lots of patience. His teaching style is fantastic...I'd had 2 previous instructors before him a few years back but never gained independence with them. Because of this I was always extremely nervous and relying on them when behind the wheel. However, Mark helped me develop the skills and independence necessary, and my confidence level shot up rapid, and I ended up passing my test first time today because of it. I cannot thank him enough! Before I found him I thought I would never learn to drive! I wish I would have found him earlier!!!! Thank you so much Mark.